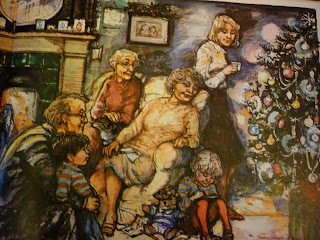 This Christmas which picture books did you give, share or discover? I thought I would share some Christmas presents and some books that are favourites. Little Ruaridh is 2 years old and he just loves tractors and diggers. For Christmas this year he got his own copy of a book he had enjoyed when they borrowed it from their local library. It was Goodnight Tractor by Michelle Robinson and Nick East. He also got a copy of Goodnight Digger. These are part of a series of books all very similar in style with gentle rhyme. 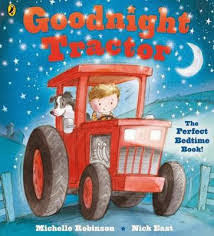 Goodnight Tractor and the other books in this series work in the same way that parents have often encouraged children to settle down to sleep, by saying goodnight to their toys before going to bed. Ruaridh loves them and it does settle him down to sleep. He also loves Goodnight Princess, as does his sister, Abigail. Jack heads off in search of the fruit of the Flumflum tree to cure his Moozles and encounters all sorts of problems but he has his granny's patchwork sack filled with a strange assortment of things that prove to be just what he needs in every situation! Poppy is 3 and she also loves her stories. 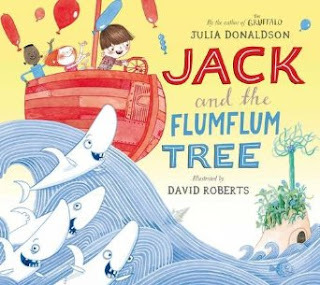 Jack and the Flumflum Tree has recently been on her reading list as she recovered from her own Moozles! 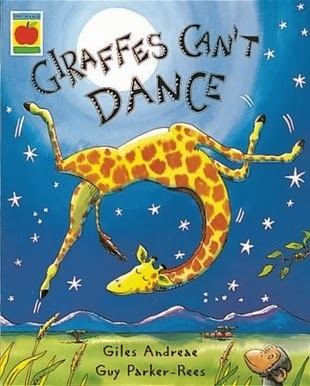 Another favourite is Giraffes Can't Dance by Giles Andreae and Guy Parker-Rees. As you can see in the picture,she also loves Hamish McHaggis and likes to keep him close by at night because she knows he keeps her safe from bad dreams and her little brother Benedict has his own little Hamish, too! 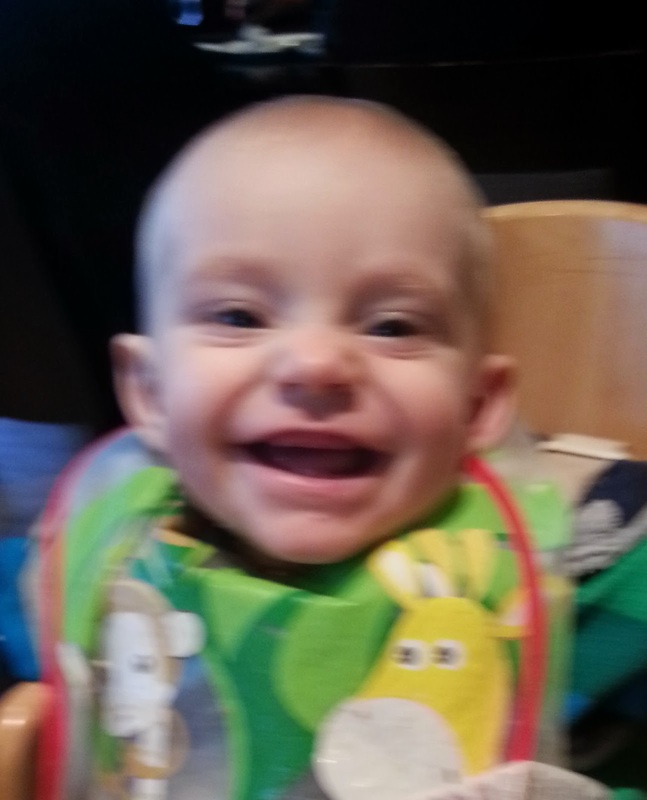 Baby Benedict is 7 months this Christmas and he is just getting the hang of books. He has inherited a lot of his big sister's books but his Christmas presents included Usborne's Baby's Very First Touchy-feely Book. 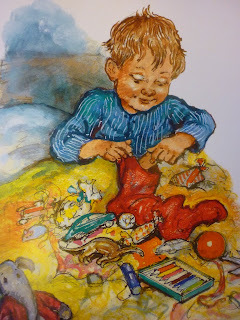 One of the many great books for tinies with textures to touch, and bright colours and images. 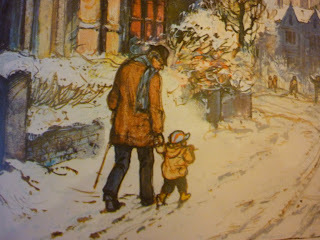 So this Christmas which picture books did you give, share or discover? This is just a little post to highlight a small, but fantastic, exhibition at the British Library. ‘Picture This’ closes on the 26th of January so, if you love illustration and you haven’t seen it yet, I really recommend a visit (and it’s free!). 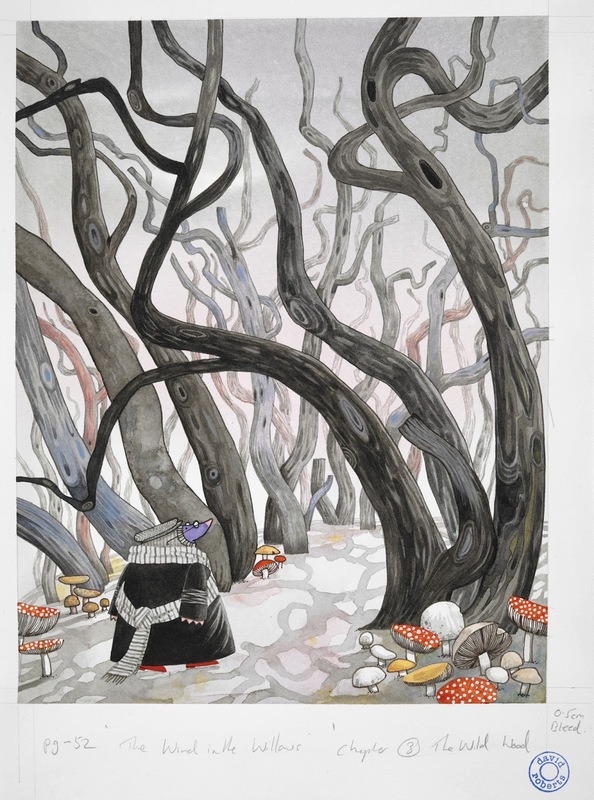 In reviews of picture books the emphasis is so often on words rather than illustration, but this exhibition focuses entirely on the pictures; with original artwork, old books and video interviews. 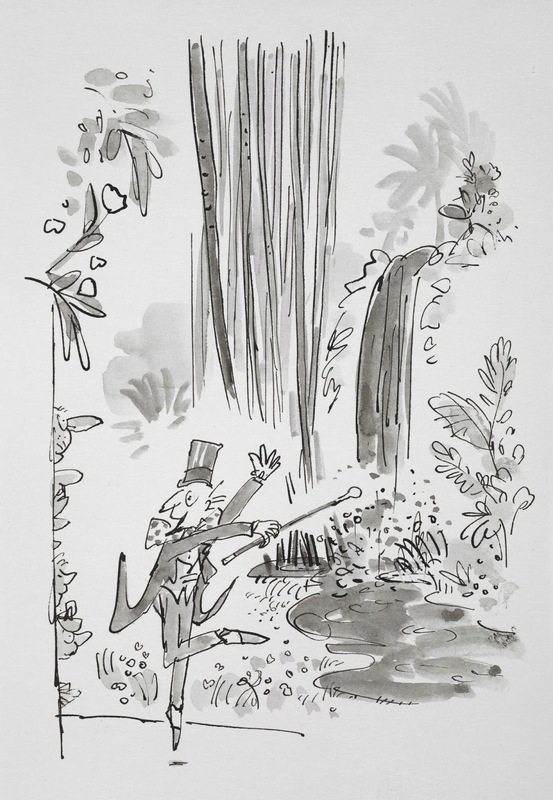 As well as showcasing the art, the exhibition also looks at how well-know characters from books have been interpreted and reinterpreted over the years. There are more pictures of the exhibition on the BritishLibrary Facebook page. The impact of names in children's books is something that I hadn't thought about particularly until I read an article about the stage version of Maurice Sendak's 'Where The Wild Things Are'. In the article, Sendak talked about how he felt he couldn't stage direct his creatures until they had defined personalities. To this end he felt they needed to have names. Not overtly in the script, but just as a personal device to help their coming alive as animated beings feel more convincing. Hooks to hang their behavioral characteristics on if you like. It was interesting that there was felt to be no need for this naming in the actual book, ( or come to think of it, in Sendak's head at the time of writing and drawing it ). 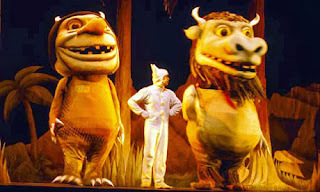 Maybe because the creatures weren't differentiated in the book, they were the Wild Things, and didn't need the distraction of having different personalities. 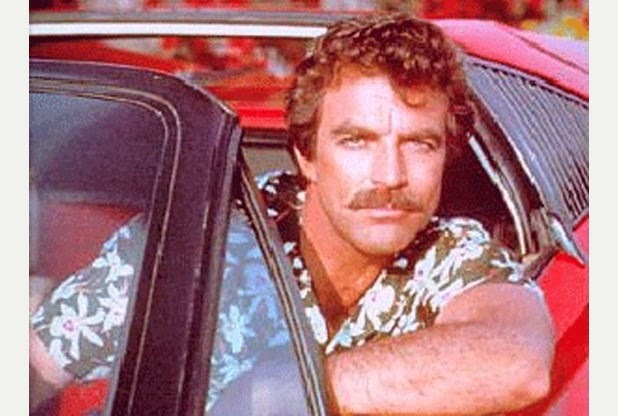 Anyway, that is by the by. What was really fascinating to me, and revealing about my own mental blind spots etc, were the names he chose. I may not have the first one exactly right but you will get the idea. He chose the names Aaron, Moysha and Tzippy. Because of my lack of examination of my own cultural bias, or awareness that I even had much of one, I was surprised. The surprise was only momentary, But my inner self monitoring process clocked it! I gave myself a clip round the ear. Why on earth should it be even remotely surprising that a Jewish author would give his creations Jewish names? On further consideration, I came to the conclusion that it was the baggage that comes with names that had struck me. Suddenly, Sendak's creatures had ethnicity! They were no longer universal creatures from the imagination in quite the same way. I have been steering clear of names in my own work for a long time without really examining why. It just felt right. It's nice to know that my unconscious was on the ball. . . I think it is similar to choosing animals as protagonists in your books, as I tend to do. By using animals, you avoid the class, culture, and gender issues that depicting children can stir up. These issues can distract from the story or the point of a book and threaten to spoil it. I find that by using non-names like Baby Owl and Little Puffin as well, I can neatly sidestep these distractions for a second time. ps - Not that there is anything wrong with names used in the full awareness of their 'baggage'. 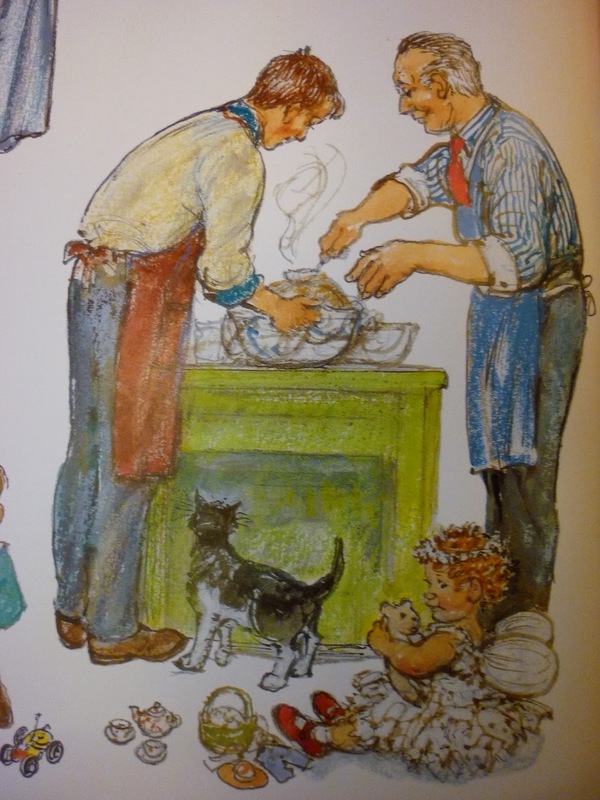 'Peter Rabbit' is set in a particular time and place, as is Shirley Hughes 'Alfie' and many others. And they are great. 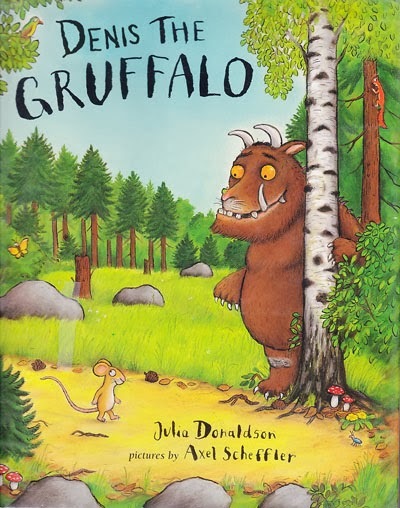 I just can't imagine 'Denis the Gruffalo' working all that well. . . I adore words, although I appreciate ‘less is more’ with picture book stories and some texts need pruning or stubble burning. However, it’s not just about cutting a text to 200-500 words (or zero words). I think that sometimes it’s all right to stick in a seemingly unnecessary word or two, if it adds a lot to the story experience. It’s about finding the right words, and not just the right word count. Of course, concentrating on what a story is really about, and chucking out extraneous waffle also helps. You might shrug at what appears to be an obvious observation about finding the 'right words'. It is obvious, although it took me over a year of writing and learning about poetry for this obvious statement to burrow deeper into my brain. Perhaps it was a case of knowing something without truly appreciating it? 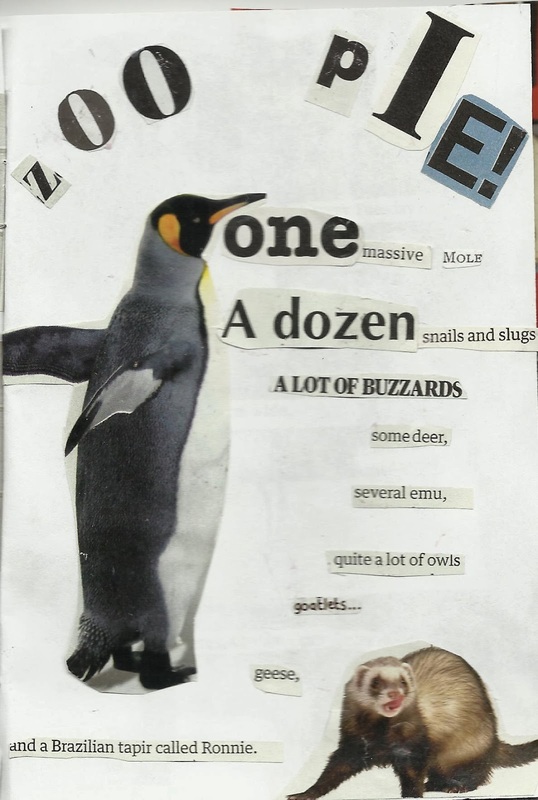 After immersing myself in contemporary poetry, I've realised my picture-book writing has morphed. 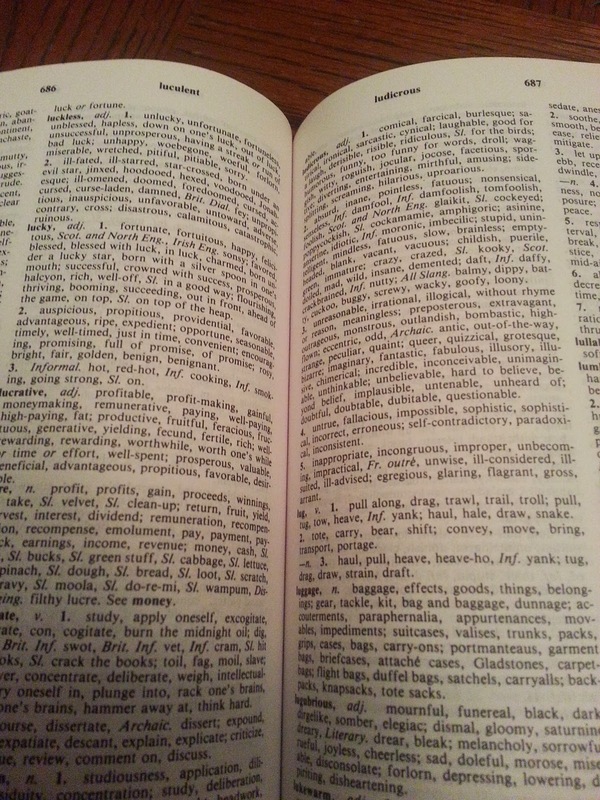 I now search harder for the right words and for different ways of seeing everyday words. 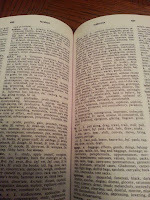 This makes it tougher for me to look at my old texts and revise, because the old texts feel a little alien. Weird. Maybe I’ll grow out of it? 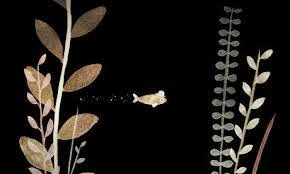 In contrast to this, Jon Klassen uses simple language with style. 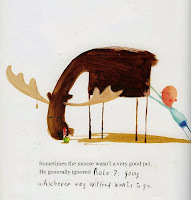 I adore This is Not My Hat by Jon Klassen. He uses unassuming words and pedestrian sentences, and then combines them with deceptively simple illustrations to create a thoughtful story that leaves room for the reader to ponder. Here's an excerpt from a longer section. At first glance it might appear a little repetitive, but it's not. I think you can hear the child's voice and the glorious self justification. I know it's wrong to steal a hat. I know it does not belong to me. But I am going to keep it. It was too small for him anyway. Sometimes the right words may add to the lyrical sing-song quality of a text. 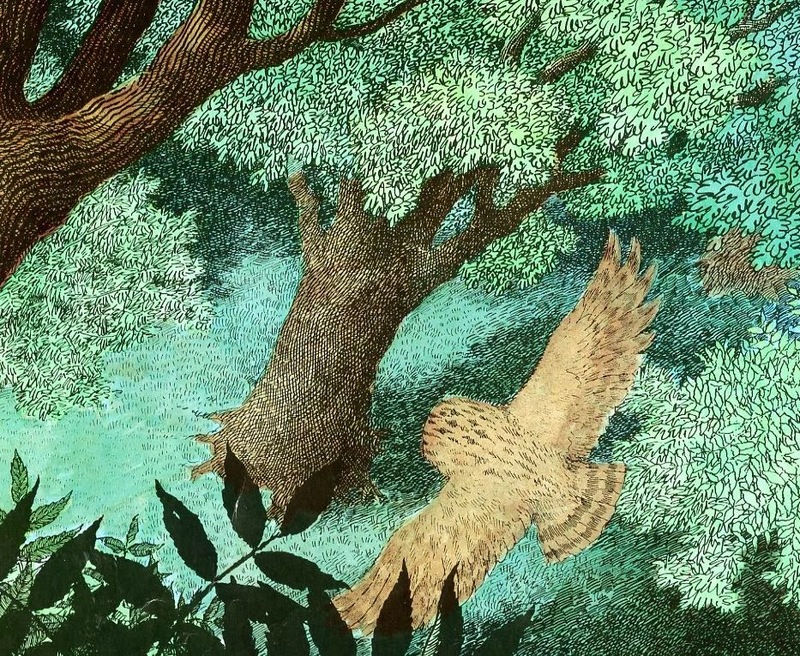 In this example from Owl Babies by Martin Waddell (a steadfast favourite), the penultimate and is a 'right word', even if it appears to be an excess word. In isolation, I think the sentence below would be a little menacing without the penultimate and, yet with it, the sentence is softened and flows. 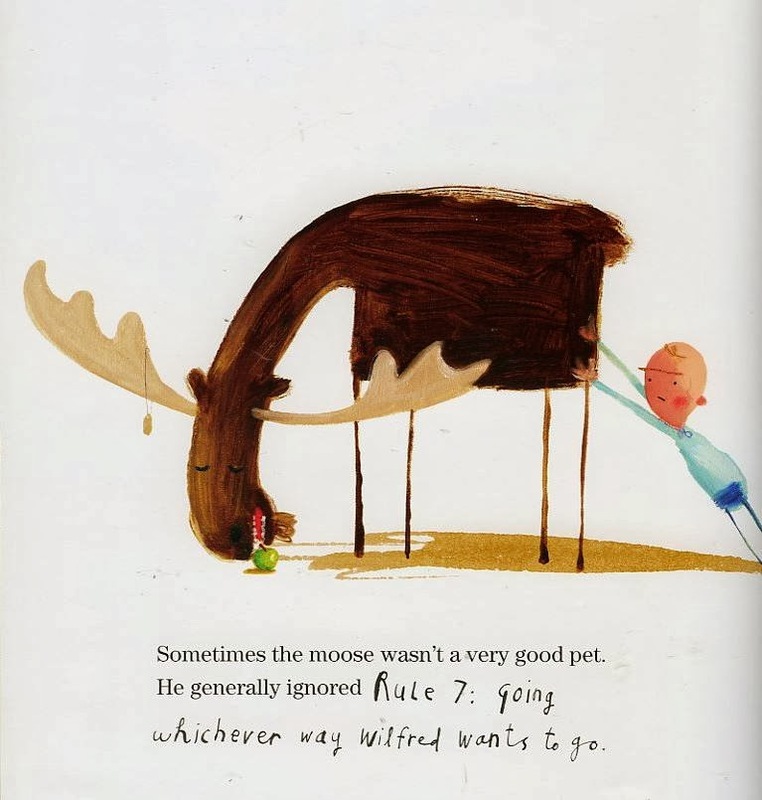 Oliver Jeffers also gives respect to the reader in This is Not My Moose. It's another of my favourites. We're told stuff, but we also smile because we understand what's also being said between the lines. Sometimes the moose wasn't a very good pet. whichever way Wilfred wants to go. I've just noticed that three of my examples are from author/illustrators. I suspect that's just a coincidence, although I've always thought that a large proportion of the best and worst books come from people who illustrate and write. But that's only my opinion and it might be time for me to scurry away! If anybody has examples of picture book sentences that seem to use the 'right words', I'd love to read them in the comments' section. And if you disagree with my opinions, just say! Shirley Hughes writes and illustrates the very best children’s picture books, and has done so for a long time. She has no need for aliens or angels or burps or underpants or even Santa on his sleigh to draw you into her books. 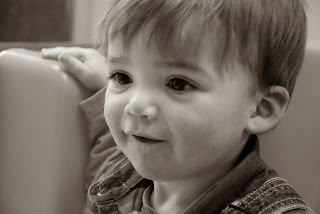 She recognises the very real drama and passions and humour to be found in the everyday life of an ordinary small child. We know those dramas from our own lives, so her stories resonate with us all, and that’s why books such as ‘Dogger’ and ‘Aflie Gets In First’ have become true classics. Working in a bookshop in the 1980s I had the perk of sometimes keeping (you’re supposed to ‘dispose of’, but there’s nothing to stop you disposing of them to yourself!) faulty books once the title page had been ripped out to be sent back to the publisher. That is how I got my bound upside-down copy of Lucy And Tom’s Christmas. … and then the thing that absolutely strikes a chord with any young family, when a tearful Tom has had too much and is ‘rather cross’ and needs to go out for a dark walk down the street with Grandpa, ‘just the two of them’. In our family such a walk or other form of removal to calm down is known as ‘dehorribalising’! Then Tom goes home and the tree is lit, and Christmas feels complete and just right. So, what about the new book, Alfie’s Christmas? Could it possibly be as good as Lucy And Tom’s one? Well clever clever Shirley Hughes has managed to make it different from that beloved earlier Christmas book, but still exactly, Chrismassily, right. Alfie is a distinct character, of course, so it’s lovely to see important neighbours such as the MacNallys being included. 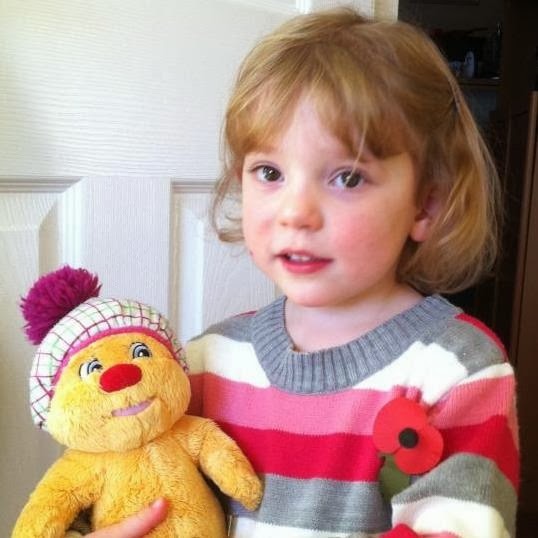 And Annie-Rose has her own storyline. But comparing the two books also brings home that our Christmases have changed in subtle ways. The importance of family and food, the anticipation of giving and receiving presents much the same. But we don’t wait until Christmas Day to light the tree these days. Now the tree is decorated in the run-up to Christmas and put in the front window for all to enjoy. We tend to post a letter to Father Christmas rather than send it up the chimney. We’ve got Dad, and even Grandpa, in the kitchen now! It is a lovely book, and I urge you to watch this youtube of Shirley talking about it, and drawing it. 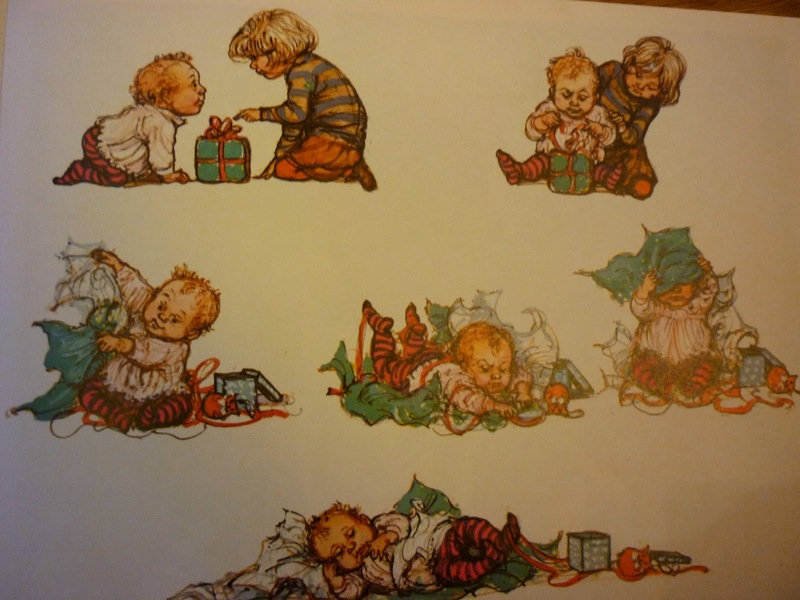 Do you have a favourite Christmas book without which Christmas isn't really Christmas? Please tell...! And Happy Christmas! Alex Coke from Oxford's new Story Museum. It's an exciting new project providing exhibitions and space for children to meet authors and illustrators. I've been working for The Story Museum for over a year now (best workplace ever, by the way) and it is as difficult to describe to my friends now as it ever has been. It's a pioneering education charity and museum-in-the-making, which aims to use story to help children fulfil their potential. 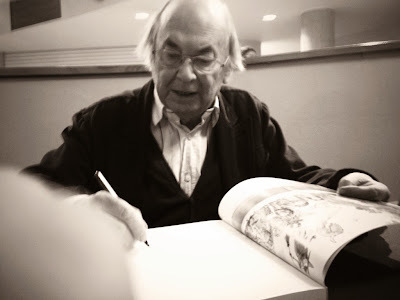 Stories lie at the heart of human culture and help people to develop the vital language, imaginative and emotive skills they need to understand the world and connect with each other. Sharing stories develops language and understanding, imagination and empathy. The stories of our childhood shape the people we become and the world we create. There is mounting evidence that enjoying a rich variety of stories as they grow helps children to fulfil their potential. It can even break cycles of deprivation. 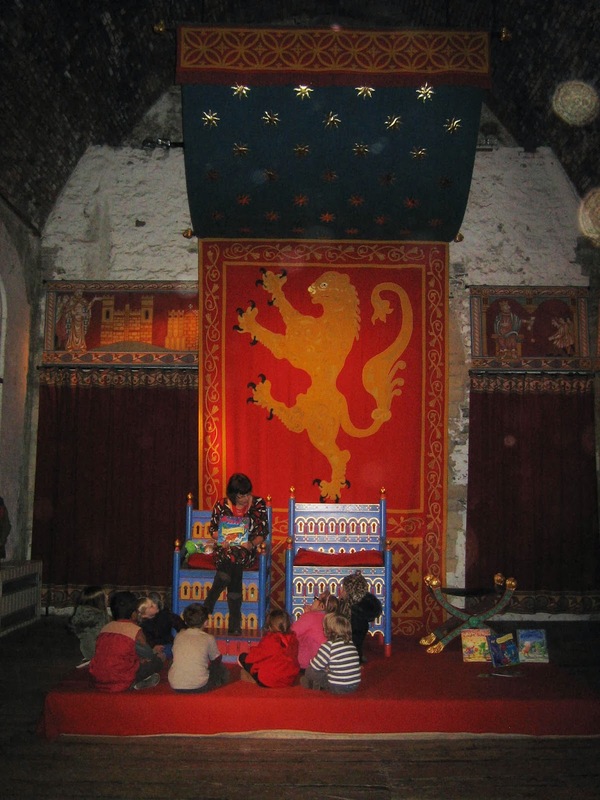 That's why The Story Museum exists: we work in schools and communities, with authors and illustrators, with musicians and actors and storytellers to highlight the importance of story. We celebrate stories in all their forms, and demonstrate their power to teach and delight - as well as encouraging people young and old to create stories of their own. Since 2005 we've been developing learning programmes and materials, directly reaching 10,000-15,000 people each year in Oxfordshire, London and across the UK. From the beginning we aimed to create a centre for children's literature and storytelling (a museum in the original sense of 'a home of the muses and place of inspiration'), and that dream is becoming more real with every day. In 2009 we acquired our permanent home on Pembroke Street, in the heart of Oxford. We piloted events and exhibitions in the building during 2012, and in August 2013 we officially closed to the public to allow the first chapter of our renovation to take place. The builders have been in since September, transforming our ground floor into a shop and café, our middle floor into a wonderful education space and our top floor into offices and writers' studios. Holes are appearing, walls are disappearing, electricity comes and goes. We're changing our pumpkin into a coach: Cinderella is one step closer to the ball. In spring 2014 we'll open our shop and café, along with a brand new exhibition which will take over the rough spaces of our atmospheric, labyrinthine building. We'll have a programme of events, talks and workshops for schools, families and adults. We're still raising £8m to renovate the rest of our building and create our 'cathedral of stories'. We hope you'll join us along the way, and come to visit us when our doors open. A book charity we should all know about. The fantastic work of Living Paintings. We all love the crazy, wonderful, colourful world of picture books, but how can children who are blind or partially-sighted join in the fun? Yesterday I was moved and delighted to find out that some very special people are working hard to make sure that this happens. I visited the offices of Living Paintings, a UK charity that’s also a unique publishing house. The charity creates and publishes tactile printed/audio books for blind and partially-sighted people and distributes the material to them free through a postal library. Some of the work it creates is prepared from scratch. Some is prepared with the agreement of publishers. The material it offers is very surprising and varied. For adults it has worked with some very exciting contributors to create unique material. The architect Norman Foster and the artists Gilbert and George are two examples I found fascinating, and Tracey Emin is about to co-operate with the charity, apparently. Helping create access to art of all kinds is a big part of the charity’s ethos. For young children Living Paintings has created tactile and audio versions of some of our most well-loved picture books, from Angry Arthur through to Where’s My Teddy, via Spot, the Gruffalo, Kipper, Charlie and Lola, and many more. The audio for these books is a real treat, read by such great voices as Martin Clunes and Bill Bailey, with added sound effects and music. Older children and teenagers get a great range, too, including up-to-the minute material on fashion, music, cooking, science, nature and history. I saw 3D picture book images being created at the charity’s workshops near Newbury. The front cover image from Oliver Jeffers’ beautiful ‘Lost and Found’ had been lovingly carved in wood, ready to be made into a durable plastic 3D mould for touching. Publishing Manager Liz Davies made the mould before my eyes and it looked great. Nearby, volunteers were painting the moulds. Why? 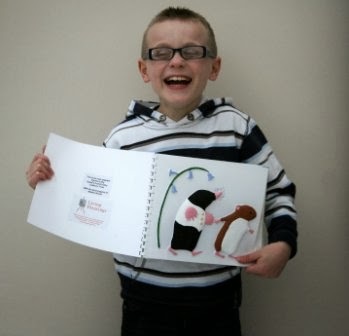 Because some readers will be partially-sighted, but also because blind children will be sharing their picture books with sighted readers, just as sighted children share their book-reading with adults. Living Paintings strives to make sure that its picture books lend themselves to that all-important sharing experience, and readers might want to talk about the colour as well as the image and the story. On another desk lay some Spot learning books, in the process of being carefully re-configured for blind or partially-sighted children, with each image carefully pored over and selected for the 3D treatment. Celebrities give their time for free to Living Paintings, producing some fantastic audio treats. 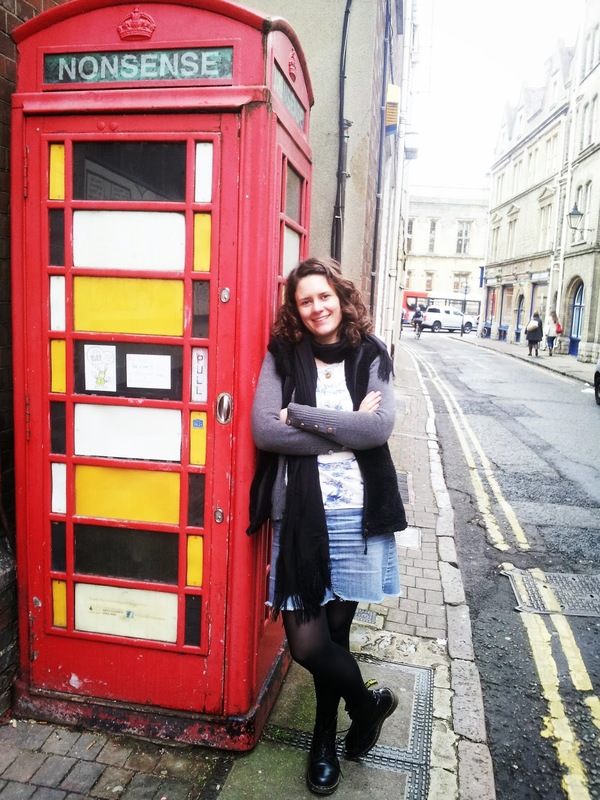 Liz told me that she wanted an American voice for ‘Where the Wild Things Are’, so she took a punt and wrote to Hollywood heartthrob Ethan Hawke when he was performing in London. Ethan Hawke said yes! For older children, Phil Harding of Time Team fame has just helped produce some great audio material about Anglo-Saxons, which will be going out with touch moulds and all sorts of interesting material to support school history learning. I drove home listening to Sean Bean reading a children’s adaption of Beowulf for the Anglo-Saxon pack, and very stirring it was. Phil Harding working on the Anglo-Saxon material. Alan Davies apparently had a ball in the office sound studio interviewing Arsenal Premiership footballer Carl Jenkinson, for teenagers to hear. What treats! 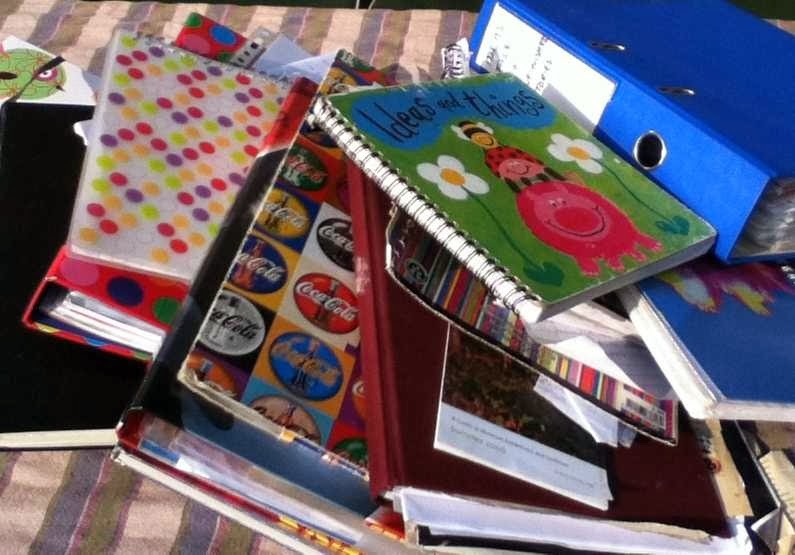 Charity Chief Executive Camilla Oldland tells me that the families and schools who use this material get a very big boost from this kind of involvement. 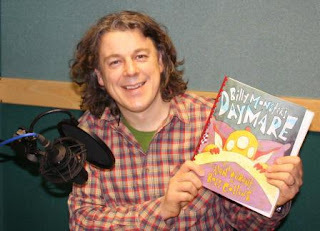 Alan Davies reads Billy Monster's Daymare by Alan Durrant. So how can we help? 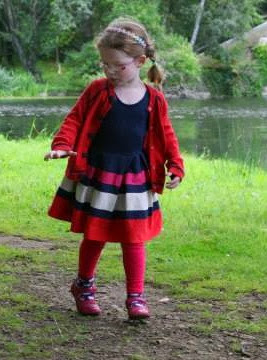 Well, first off, the charity needs as many people to know about its work as possible because it wants to reach as many blind and partially-sighted people – adults and children – as it can. Its guiding principle is that its library will always be free for them to use. It needs to get the word out, so please take a look at the website and pass on the link. Secondly, it wants to engage more directly with authors and illustrators, because it knows that we are good sharers of information. It hopes to get the chance to introduce its work to more of us in 2014, perhaps even by running some events. Sometimes it finds that publishers haven’t told authors and illustrators very much about how their work is being used in this way, and they want us all to know just how strongly valued we are! On its website there is a new icon that you can grab and put next to any books they’ve featured that you’ve been involved with. The charity finds it gets increasing amounts of click-throughs from parents who have visited author websites, so they know it works. I'm also going to suggest they produce a general icon that we can add to websites such as this one. The Living Paintings website is newly revamped. Perhaps you could offer it a blog (which might become an audio blog). Perhaps you could point it out to your agent or your publisher. Perhaps you could tweet their blogs, to share the message. Finally, if you're feeling generous, this is a really worthwhile charity for authors, illustrators, publishers and agents to support. Living Paintings gets no government money. It relies on donations and help from individuals and on donations from businesses, so all word-spreading is good. Please take a look on http://www.livingpaintings.org. If you Tweet, follow them on Twitter: @LivingPaintings. PS: If you know of any blind or partially-sighted children, or perhaps a school near you that would benefit, check out the gift box range for sale on the website– with tactile pictures of Elmer, Mog, Winnie the Pooh, Harry (Bucketful of Dinosaurs) and Willy Wonka. The charity is happy to post these to worldwide customers, though they point out that the audio features British-usage language. They do work with some blind and partially-sighted individuals internationally, so please contact them direct if you want to discuss this side of their work. I’m a story writer, first and foremost. But there’s a whole world of wonderful picture books out there that don’t tell a story. Or not a made-up story, anyway. I’m talking about the world of non-fiction. Non-fiction picture books are a much bigger phenomenon in the United States than here (by here I mean Britain and Ireland, because that’s where I’m based and that’s where most of my work is published). 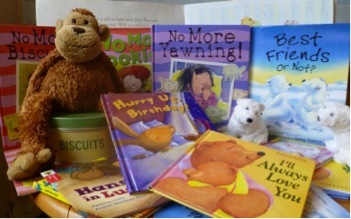 Here the market for picture books is very much age seven and under, and very much story-led. There are exceptions, of course. 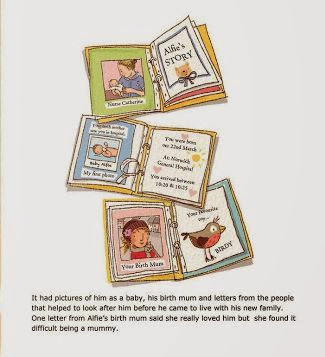 Walker Books, for example, have been, and still are, publishing a wide range of very high quality non-fiction picture books. 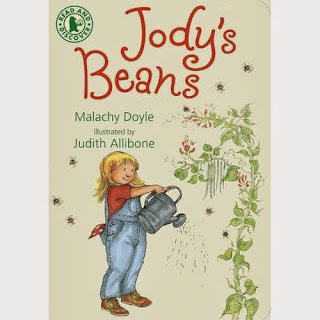 My first for them, way back in 1999, was Jody’s Beans, illustrated by Judith Allibone. I wrote it as a story about a little girl growing a sunflower. But a) I discovered there were too many books about sunflowers on the market so I turned it into one about runner beans. And b) Walker wanted to publish it in their Read and Wonder series, so although it was a story about a little girl and her grandfather, we threw in lots of added information and it somehow became ‘non-fiction’. Maybe because they appeal to the schools market, non-fiction can sell well and remain in print longer, so though I’ve had four fiction picture books with Walker since, Jody’s outsold them all. 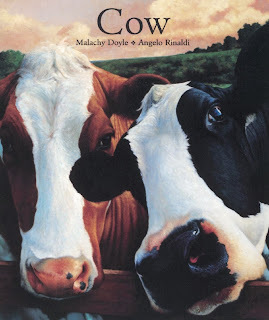 I then, in 2002, had Cow published. This was basically a day in the life of a cow. I went down to the river, sat in a field of cows, and meditated on what it might be like to be one. Angelo Rinaldi did some superbly lifelike illustrations, and of all the nearly a hundred books I’ve had published, it’s still my highest earner. Oh, and it won the English Association Award for best non-fiction picture book that year, so that was nice. 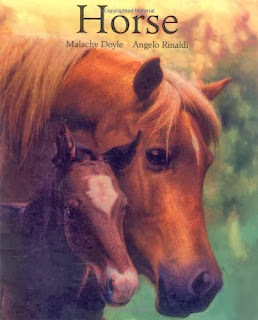 Simon and Schuster wanted Angelo and me to do another one, and suggested horses. I wasn’t at all sure about this, as I’ve always been somewhat wary of the beasts - they’re big and they bite. But a job’s a job, so I spent the summer getting over my fear. I visited Michael Morpurgo’s Farm for City Children when I was down in Pembrokeshire, and generally hung out with horses. You still won't see me on horseback (once was enough), but I’m actually very fond of them now, and never go past one without saying hello. And yes, you guessed it, Horse is still in print long after some of my other S&S picture books have fallen by the wayside. So if you’re writing (or reading) picture books, don’t look down your nose at non-fiction. 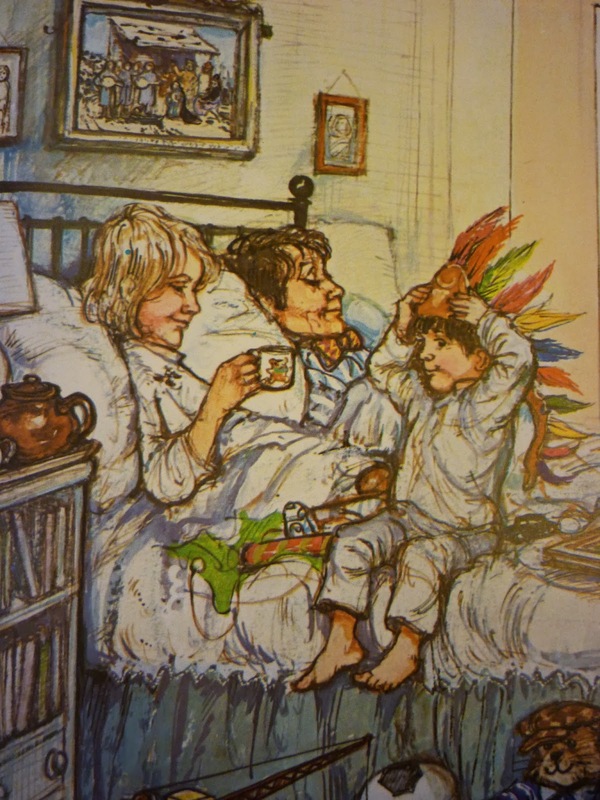 Children need them (and love them – especially boys, who are often drawn to information books when they wouldn’t be seen dead reading a ‘story’ book). They can be just as high-quality. The research can be fun. Oh, and they sell! 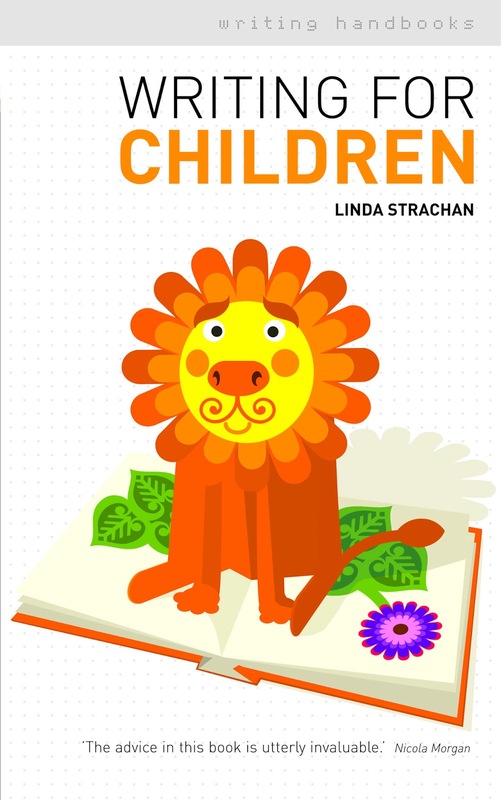 It was Sonia Benster at the Children’s Bookshop near Huddersfield, who suggested that my next Copper Tree series book might consider adoption as she was regularly asked for picturebooks on the subject. So, in preparation, we set about speaking to adoption professionals and to families. We found that while attitudes towards adoption had changed, three poignant elements remained constant. Firstly, the agony of parting birth mothers from their children. The words of actor Linda Bellingham seared into me when she described how, as a baby, she was handed over to her adopted parents. As their car pulled away her new parents could see in the rear view mirror, Linda’s birth mother, arms outstretched, running after them. In a split second they had to make a decision. To stop or to drive on. They accelerated away. Almost seventy years later *Callum’s alcohol dependent mother endured the same agony. After immediately handing over her baby to social services in the hospital, and after regular visits to see, nurse and play with her baby at a contact centre, she was too distressed to say the final goodbye. 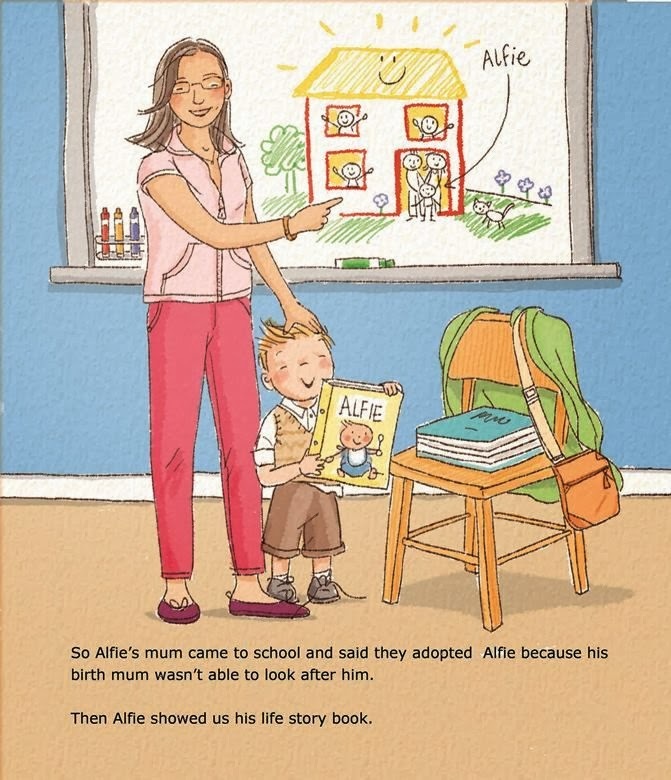 But unlike Linda who relied on anecdotes about her circumstances, Callum, like other adopted children today, could refer to his Life Story Book where the main details of his circumstances were recorded. 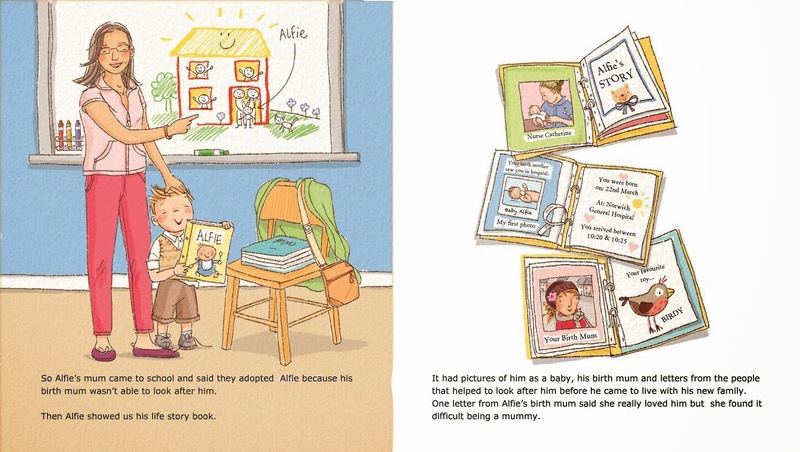 Life Story Books, it’s believed, help children, separated from their birth family, make better sense of their situation and this became a crucial element in Help A Hamster. 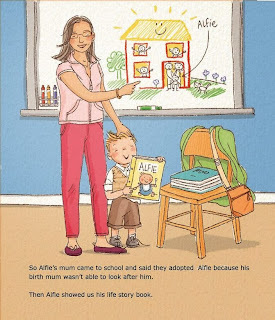 The Copper Tree books feature the same group of children and it seemed right that in this instance, Alfie Tate, the class character, should be the pupil that explains his adoption story. We paid careful attention to the language and to the circumstances. 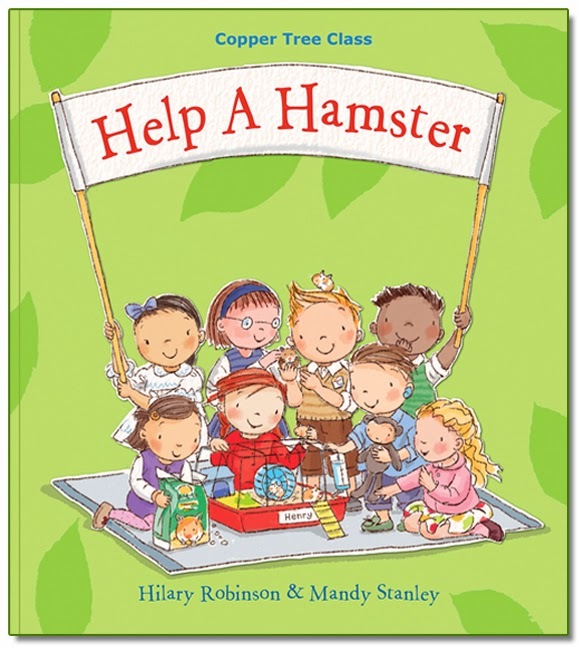 Alfie, his parents and the teachers took the form of the social services in determining which hamster would suit which home and when one, named Alfonzo, is left, Alfie negotiates with his parents who decide that they will give Alfonzo a home. The third constant that emerged was the tremendous integrity of families who are prepared to open their hearts and homes to strangers’ children. One couple went from having no children to three – all from one family – while Callum’s family know that his development will forever be hindered by the after effects of foetal alcohol syndrome. His learning capabilities are impaired. As with so many picture books, Help A Hamster, can be read on more than one level. Above all, I hope it serves as a reminder and a celebration of the human condition. Words and pictures combine to show us that while attitudes and circumstances may change and continue to evolve, kindness, respect and love towards others will always remain the most significant constant in an ever changing world. And this has to be good for children. A few of years ago I wrote two picture book stories 'Where It's Always Winter' and 'The Perfect Christmas Tree.' As the titles suggest they both have a festive or seasonal link. Once I'd completed them I sent to various publishers who I believed (because I'd researched their previously published titles) might be interested in them. Again and again they were rejected, which is something you sort of get used to as a professional writer. However a couple of the publishers didn't send me the standard rejection letter. They told me they'd enjoyed the stories but were withdrawing from seasonal books so weren't in a position to take. This is where my journey into becoming a publisher started. MadMoment Media Ltd was set up and with a very limited budget we had these two picture stories (plus a few others I'd received good feedback on) into apps for the iPhone and iPad. This meant a steep learning curve and a fair few hours spent in a recording studio, as yours truly narrated them. By the end of 2010 they were ready and uploaded onto the iTunes store. A few months later we converted all of the stories into picture eBooks and uploaded onto Amazon (Amazon UK, Amazon US). Our non-seasonal stories sell a few copies all year round. However although 'Where It's Always Winter' and 'The Perfect Christmas Tree' are seasonal we sell as many if not more of them than our non-seasonal titles. Now you may be wondering why I'm sharing this with you. 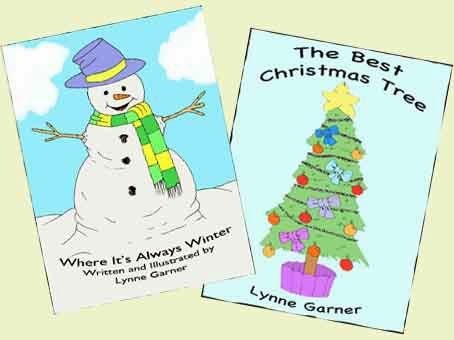 Well I wanted to demonstrate that just because a large publishing house doesn't see the point of selling seasonal picture books it doesn't mean there isn't a market for them. So if you have a book that's received good feedback but isn't marketable all year round why not give it a go yourself. It's worked for me it could work for you. 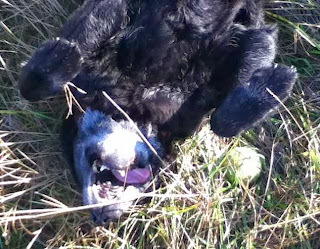 Old dog pace is slow, with stops for joyous sniffs and rolls. 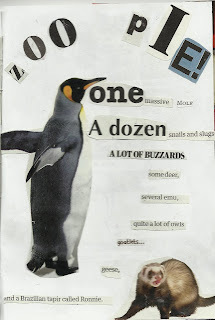 Thanks to poet Roger Stevens for introducing me to the delights of cutting and pasting random words, phrases and pictures and making surreal poems. There are loads of interesting places, museums and art galleries where I live, but a supermarket or my local town, Deal, will do just as well, too. 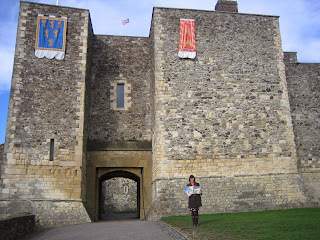 Wandering around Dover Castle has given me ideas for three books - which I occasionally get invited to read in the awesome setting of the Great Tower. I don't have a notebook by my side when I go off wandering- because that would make me think I had to have an idea, and the whole point of wandering is that it's pressure-free. 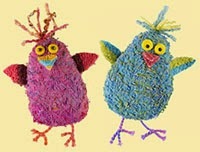 But I often come back with something to add to my compost heap of ideas. But even if I don't come back with anything to put in the notebooks, wandering off occasionally stops me stagnating - and makes me feel less guilty about the chocolate nibbling when I'm back at my desk. Jane's currently polishing up three picture book texts for Nosy Crow. She's been having a lovely time wandering round Dover Castle, and doing some readings there over the autumn break, and Bramble has taken her for lots of walks. Photos taken by fellow groupie, Dave Gray. 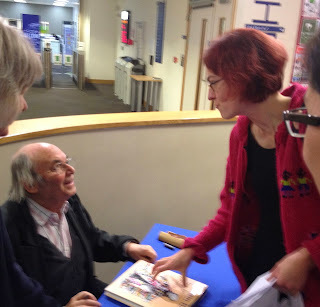 The lecture was brilliant. 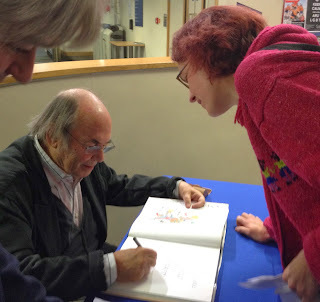 He talked about the illustrations he’s been doing ‘beyond the page’ in the last ten years or so, on buildings, art gallery and many different hospital walls and on buses for education projects (his book Beyond the Page, is beautiful and is always on my desk for inspiration...). An illustrated book bus in Ghana. So how does this fit with PiBoIdMo? Well this year, I want to try specific ways of coming up with my picture book ideas as well as just writing down ideas that come to me in the course of a day. So where do you go looking for ideas? Not surprisingly, I’ve been thinking about pictures today. In bed this morning, one of my children, apropo of nothing, started talking about how the Paul Klee picture on the wall made her think about a story, which she proceeded to tell me. This year, I’m going to practise what I preach. I teach writing picture books and it’s been too long since I’ve gone through my favourite picture books and tried to capture the essence of what it is I really love about them. Often, there's really interesting use of metaphor, as in Not Now, Bernard, by David McKee. 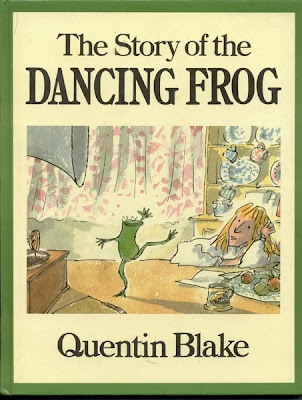 I'd really like to play around with this more for this year's PiBoIdMo ideas... Quentin Blake talked about this in the lecture, using the example of The Story of the Dancing Frog, and how he was using a metaphor for bereavement but that he could just have easily had the main character learning to play the cello instead. 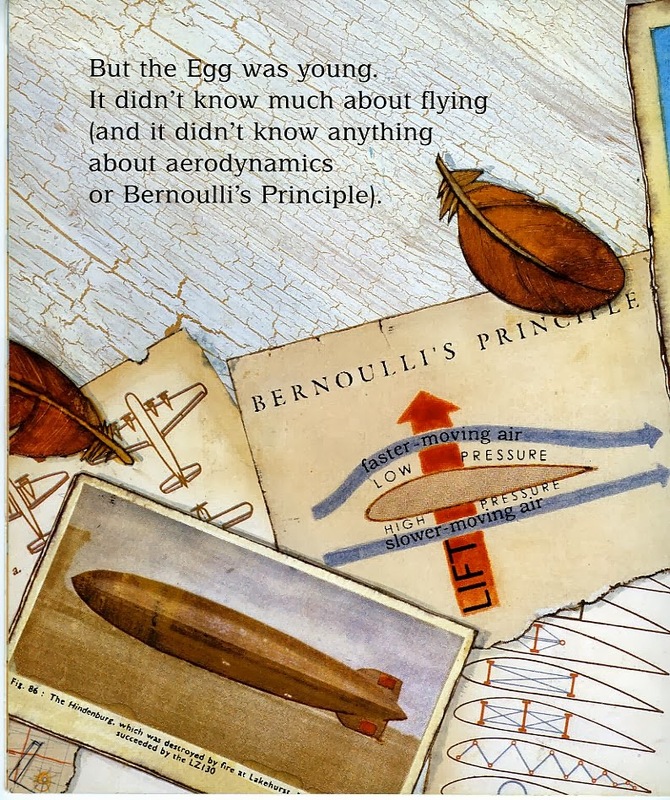 I love the idea that as an illustrator you can choose the metaphors you use in picture books partly based on your desire to draw that particular thing (he didn’t say that specifically in this example but he’s talked about it in other books before). As an author who doesn’t illustrate or know who the illustrator for my stories are going to be until after I've written them, it’s a slightly different game but I’m going to look at themes I’d like to explore and come up with visually different metaphors and see whether that leads to fresh story ideas. ...play the What If? game I play in the classroom where we look around at the room, or the playground and turn ordinary objects or scenes into something quite extraordinary by saying: this may look like an ordinary whiteboard/wall display/teacher, but what if... (and similarly with objects taken from a bag). 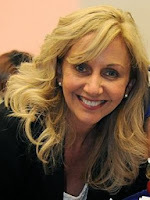 And I’ll be reading Tara Lazar’s blog daily and follow the exercises that the guest bloggers suggest. Basically, I’m going to allow myself to play for a month. This month, I’m trying out a local close-part harmony group. I joined a choir for one concert about twenty years ago but before that I’d not sung collectively since being in school, and although I love singing with the children, and in the shower, I’ve not done anything since. 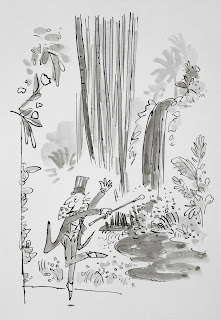 Again, inspired by Quentin Blake, as a non-drawer, I’m going to do five minutes of drawing each day throughout November just for the fun of it. And I’m attending the first in a series of traditional arts storytelling workshops, run by local storyteller, Graham Langley . And, since the death of my mother earlier this year, who was a prolific reader, and whose inscription is in many of the books that I have, I’ve started reading novels again in a way that I haven’t for almost twenty years. I do actually feel as if something has reawakened in me (so thanks, Mum, for that). If you’re a member of SCBWI and PiBoIdMo etc., writing really isn’t the lonely occupation many think of it as. There’s such a huge, welcoming community out there. But a lot of it is online and this year, I’m arranging to do more writing alongside others. It started with a writing retreat last year where a fellow picture book author, Rebecca Colby, and I booked a cottage for a week and just wrote, usually in our own beds during the day, and then in the evenings, sitting together at the dining room table. 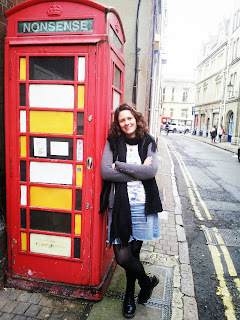 We were joined for a couple of days by another children’s author (Addy Farmer), and it was an incredible week. where anyone can come along and write/sketch for the day together on their separate projects. The children's section of the library, where all artwork, including the prints on the beanbags, is by Laura-Kate Chapman, who illustrated our last picture book, The Kite Princess! I’ve also recently moved into an office over the road from our house, with another children’s author and fellow SCBWI-er, Leila Rasheed, which is brilliant. 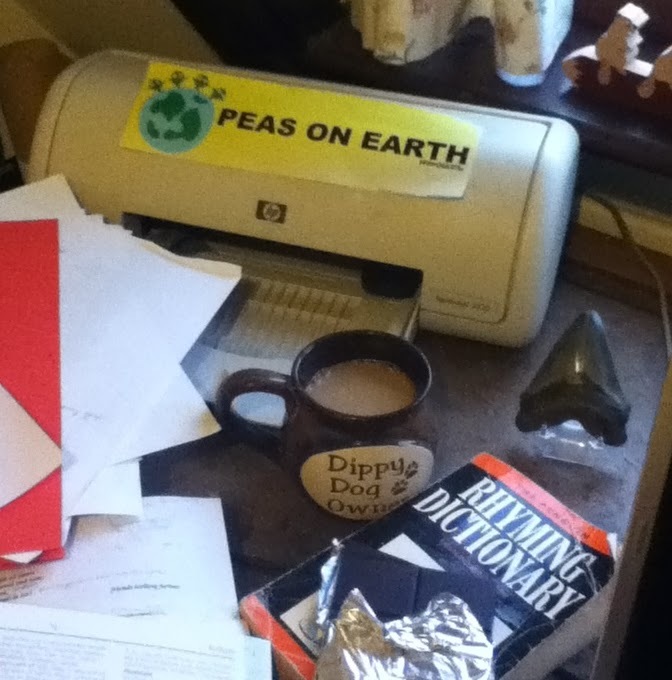 It’s freed up loads of space in our respective houses and has provided us with a fantastic working space. And from January, we’ll be running fortnightly day-long write-ins in one of the large meeting rooms there where writers and illustrators can come and write/illustrate for the day. “I don’t wait for inspiration. I’m not, in fact, quite sure what inspiration is, but I’m sure that if it is going to turn up, my having started work is the precondition of its arrival,” (Words and Pictures, p100). Do you have any PiBoIdMo tips or hints? Please leave them in the comments section below -and have a fruitful month.